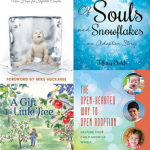 The following books are presented to help you prepare for your embryo adoption. Reading books on this important topic will help prepare your family for the differences that come from raising a child genetically unrelated to you. They are available at many libraries and most bookstores and some are available for check-out through our offices. Required reading varies by social worker, office, and program, so contact your social worker regarding which books are required. Your Child’s Lifebook, written by you! Hannah’s Prayer – Christian support network for couples facing infertility challenges. Tapestry Books – exclusively devoted to selling books on adoption.